Note: If you are unable to sign up for the whole training, you can attend the masterclasses. Masterclasses will be open to the public each day of the training (except the last day.) These workshops will meet for 2.5 hours each morning of the training dates except the last day. They will start 1 hour after the start time of the training. For example if the training starts at 9am, the masterclass for that day will begin at 10am. The Yoga Tune Up® Level 1 70-hour Certification Program strikes a balance between the worlds of yoga and fitness. It attracts trainees of all ages, body types, and movement modalities. 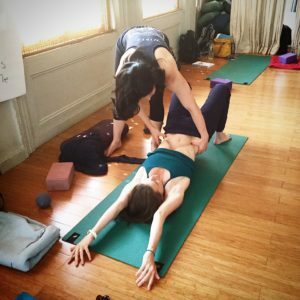 Using the yogic lens of awareness, conscious relaxation and breathing techniques, trainees intimate understanding of their own architecture, and dive deeply into integrated anatomy and body mechanics. Go beyond formulaic instruction and truly learn how to think and teach creatively within your specific teaching environment, with both group classes and private clients. 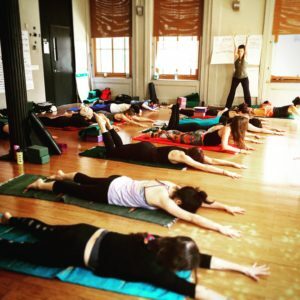 Trainees are presented with “template” Yoga Tune Up® classes that can be used to help jumpstart workshops and classes. 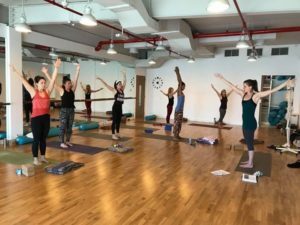 Successful completion and certification of the Level 1 training is mandatory prior to teaching any Yoga Tune Up® classes or workshops. Passing of the Level 1 course is required to be a licensed YTU teacher. Become proficient and comfortable with the fundamentals of anatomy, physiology and biomechanics and how to apply them in a private or group class setting. Note: Tuition includes a pair each of original Yoga Tune Up® Balls and course manual. Each day of the training, these classes are open for enrollment to the public. They are perfect for those who want to experience a Yoga Tune Up® class but cannot commit to the entire duration and cost of the training. Masterclasses will open for enrollment 2 weeks before the start of the training.